Logitech Slim Devices Squeezebox Duet review | What Hi-Fi? The Squeezebox Duet is a complete wireless network music player from the Logitech/Slim Devices alliance. Download the free SqueezeCenter software and it will sniff out all your tunes and send them to the receiver. This unit has analogue RCA and digital coaxial and optical outputs, and just needs connecting to power and your hi-fi. You can access Internet radio, plus software such as Rhapsody and MP3tunes Music Locker, too. But it's the remote control that steals the show, with its large colour screen, intuitive menu system and responsive scroll wheel. 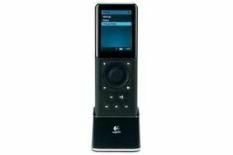 Compatibility with MP3, WMA, AAC and Apple Lossless, solid sound and the opportunity for adding more zones (extra receivers cost £99), make this an excellent value wireless system.